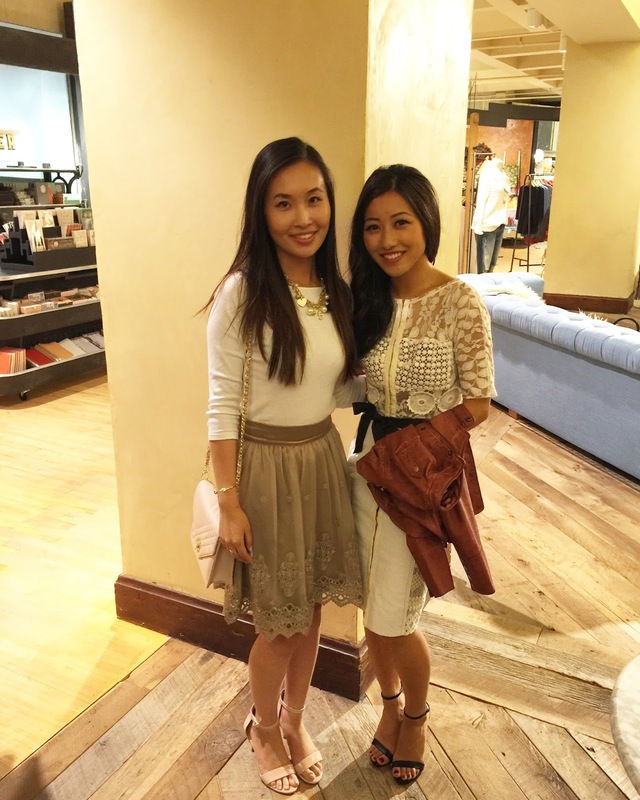 It was so great talking to Jean (from extrapetite.com) at her Meet and Greet at Anthropologie today! Being that it was my first time attending an event like this, I didn't know what to expect and wasn't sure what I would wear. I noticed right when I walked in that I was the only one wearing a lace dress (it was freezing at night), heels and a somewhat bold necklace. But as they always say, it's better to overdress than underdress. I also clearly had too much champagne as I started to feel a bit nervous and couldn't control my train of thought. She knew right away what brands I was wearing so she definitely has an eye for style - she's absolutely the style guru! I was wearing my first ever royal blue peacoat from J.Crew and we mentioned it received such negative reviews online, but I think the fit is flattering and still has that classy look. Glad she agreed as well! All in all it was a fun experience and hope to see Jean in San Francisco again!